Having an Independence Day party? 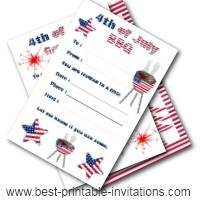 My free printable 4th of July invitations are a fun way to invite your guests. 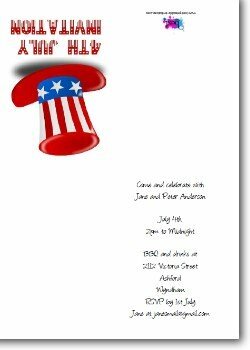 I have put together two fun July 4th invitations especially for your fourth of July party. Independence Day wouldn't be, well, Independence Day without fireworks. Or choose a red, white and blue hat to put your guests in a patriotic mood. Pull on your party hat! This red, white and blue themed hat is just the thing for an Independence day invite. 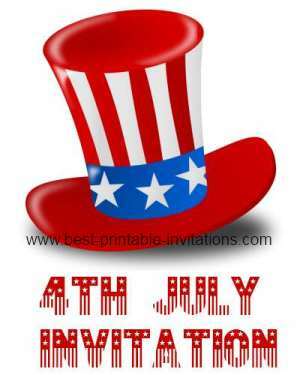 4th of July Party Invite. 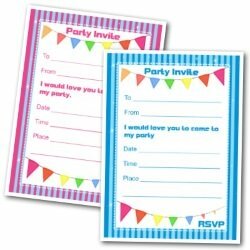 Got several invites to write out? Let me take the strain! 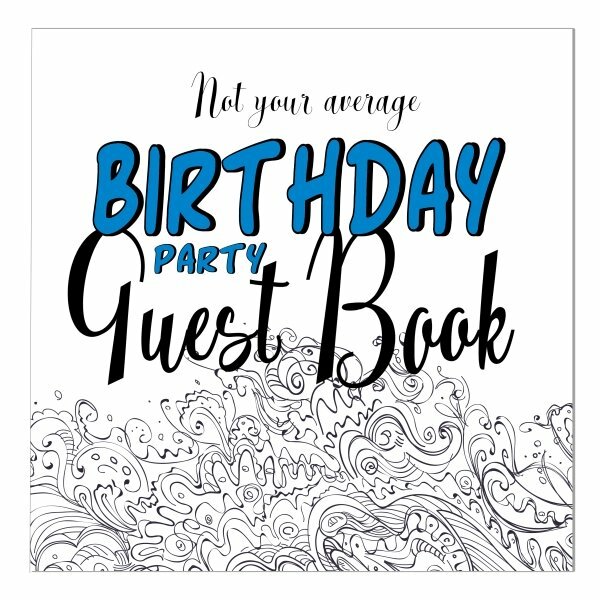 Type in your party details here and generate your own personal invitation. 2. Preview (and print) to check you are happy with your text and font. 3. 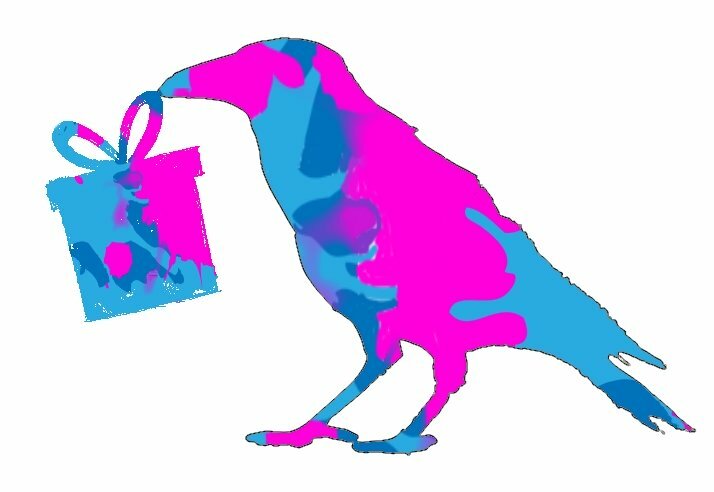 Click Buy for instant download. Let the fireworks begin! 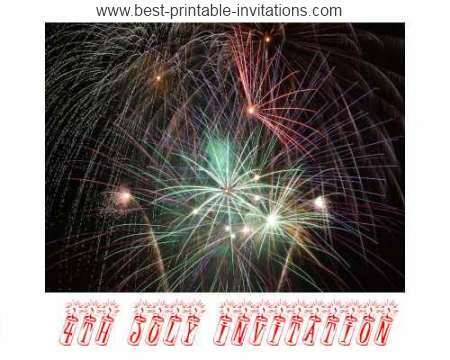 This striking invite features a stunning firework display design. Independence Day is such a great time to have a party. Doesn't it make you think of fireworks, BBQ's and baseball games! Why not combine them all for the perfect celebration. 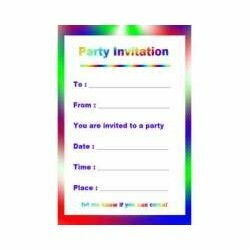 Of course, if you are having a party, then you will need some 4th of July Invitations. 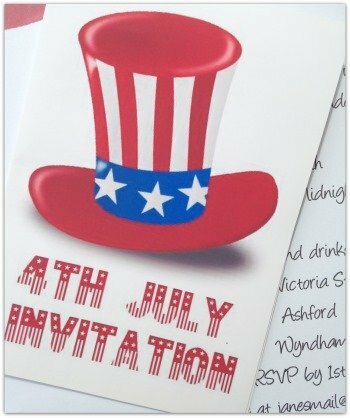 My free printable invites are both designed to evoke the feel of the fourth of July! 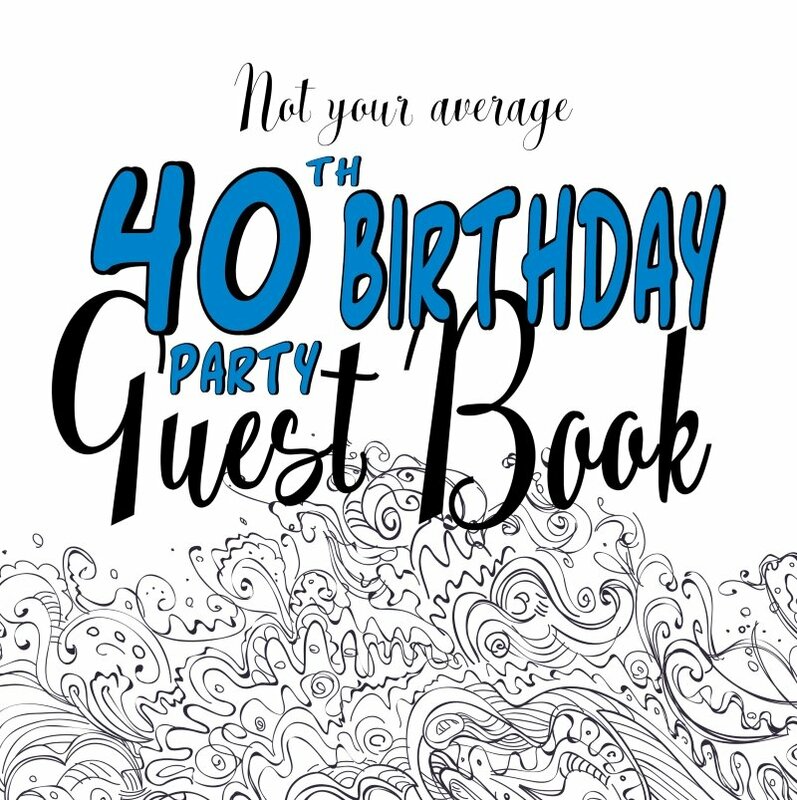 Include all the information your guests are likely to need to know. 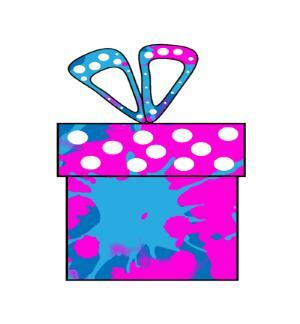 An end-time as well as a start time is a really useful thing to add - especially for kids parties. Make sure you are clear about how guests should respond - do you want them to telephone you to let you know they can come - or would you prefer an email? Decorations for your event are easiest if you stick to the traditional red, white and blue color theme. Hang flags and bunting for a real festive feel. You could even use flags as tablecloths - or choose some stripy fabric instead. Red, white and blue balloons are a cheap way of adding more color. If you can get helium balloons, then a bunch tied to each chair or to the centerpiece on the table looks very effective. And don't forget to stock up on a few fireworks too! If you are not having a BBQ then your food menu will need a bit of thought and care. There are some good holiday entertaining ideas here. Try to keep your food simple unless you are an experienced cook. You don't want to spoil your party by being stuck in the kitchen! If you want to try being a bit more adventurous then choose food that you can cook ahead of time and just warm up on the day. Or take all the pressure off and ask everyone to bring a 4th July themed pot-luck dish. Of course, 4th July has a serious side too. You can find out more about the history of Independence day and get some fun facts here.